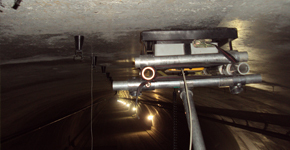 Geophysical studies play an important role in the three phases of a tunnel life. 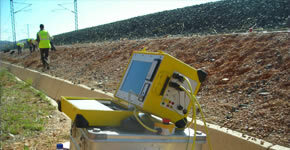 During the drawing-board stage characterizing the geology around projected tunnel portals is very important. During the construction phase our projects are concentrated in anticipating anomalies before the excavation works reach them. 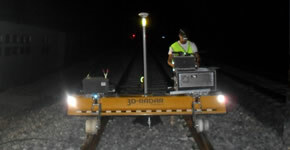 QA/QR surveys are also carried out during this intermediate stage to control quality, e.g., void location behind linings. Finally, during the maintenance and rehabilitation stage geophysics allows detecting concrete thicknesses, cracks and voids, hidden humidity accumulations, degradation of reinforcement rebars, etc. 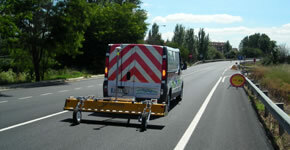 Geophysical tools are used to study bridge decks and foundations. Different geophysical methods are generally used in trench projects to determine their design or precise shape. It is very useful to determine the volume of materials to excavate, the rippability of these materials, thicknesses, contacts, presence of structures, stability of the slopes, etc. The embankments, like containment and/or support structures, require a special attention in their maintenance. The pathologies that usually suffer this type of structures come from problems in the embankment body or in the substrate underlying it. 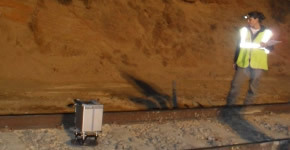 The investigation with geophysical methods provides continuous information of data about the materials that compose the embankment, as well as on the ground that supports it, determining in a direct form the origin of observed problems. The existence of defects in road pavements, e.g., cracks, delamination, subgrade subsidence, increase maintenance costs. 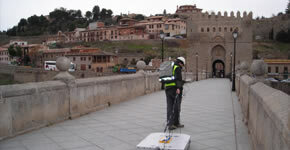 Geofísica Consultores uses 3D-RADAR GPR technology, to image large pavement areas, in a very short time, obtaining qualitative 3D data of the road. With this information, the origin and nature of the existing pathologies is better understood, determining in a precise way where the repair efforts or the preventive measures must be concentrated. Geofísica Consultores has a powerful set of tools for the investigation of the ballast state. Using three-dimensional GPR data and a specific software of own development, Geofísica Consultores has created a tool to identify very quickly areas of contaminated ballast, ballast subsidence and the presence of voids directly beneath the platform. 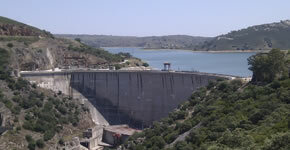 An ample range of geophysical methodologies can be applied in the phases pre, post and constructive of dams and reservoirs. In this field of application, the applied geophysical studies focuss on the mapping geologic contacts, faults, potential landslides, the calculation of the elastic-dynamic moduli of the ground, deficiencies inside the structure of the own dam, etc.